One of the biggest esports events of the year is just about to start, with the Fortnite World Cup getting on its way tomorrow! We start off with the 10 week long qualifiers, which will set the stage for the finals, where the best of the best will compete in the summer. This first stage already has a huge $1,000,000 prize pool, and whoever moves on to the finals will get a shot at the, somewhat larger, $30,000,000 one. The pressure that Jakei and I are under is unbelievable. The money on the line is life changing, I mean just qualifying alone secures $50,000 each. Considering our online tournament results, it's hard not to be confident, but at the end of the day it's a Battle Royale and anything can happen. Hopefully in the 10 week qualification period we can perform the way we have been and secure Method a spot in the World Cup. Esports is everything for me personally, it's a passion in my life, and after competing as a player I want to move into player management and the only way to do that is to experience being a top player myself. To prepare for the World Cup, Jakei and I have been practicing 10 hours a day, with VoD Reviews, Customs, Popups, Scrims, Creative. Anything that we can do to have the edge over our competitors, we're doing it, and hopefully that shows with us qualifying for the World Cup. We'll know in the next 10 weeks if we'll have made everyone proud. Our families, friends, ourselves and everyone at Method from fans to management to members, we all await the results of the qualification period and hopefully we can look back to this article with a smile and realise we made it. Not many games offer you the chance to change your entire life from one event. With that said I'm gonna do everything I can to qualify and get to New York, not only for myself but for everyone involved with Method. My family don't quite understand esports or gaming as a whole, and hopefully this event will help me put into perspective the future that I am hoping to have in gaming. The qualifier runs from April 13th to June 16th, with each week hosting 3,000 qualifying players in the weekly finals on Sundays. Avarice and Jakei will be competing in both Duos and Solo, so let's all wish them luck and as many Sunday finals as possible! You can check out more details on this first 10-week long qualification period here. I want to wish everybody who's competing good luck in the World Cup Qualifiers, can't wait to see what everybody is going to bring to the table! There are so many strong players and who knows who will qualify. It's going to be an interesting 10 weeks. I'm also feeling very excited to be back in Method and to represent an org that I would call home. It's time to show everybody the true #MethodWay! Getting our start as a World of Warcraft guild, Method is now a global, world championship winning esports organization. Founded in 2005 by Scott ‘Sco’ McMillan and based in the UK, Method consists of 10 teams featuring 90 world class players across 5 different games: World of Warcraft, Path of Exile, Fortnite, Rocket League and Injustice 2. More than an esports organization, content creation is one of Method’s core foundations. 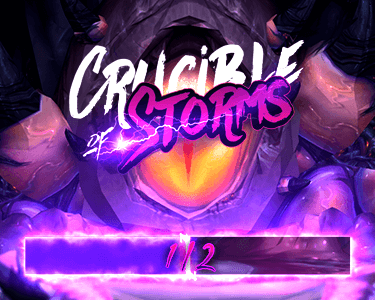 Besides housing one of the largest live stream teams in esports, Method is the host of original events such as the Method Majors and the Race to World First: Uldir in September 2018 and the Race to World First: Dazar'Alor in February 2019.